The app has a very simple UI and provides unlimited free text messages, voice and video calls to other Viber users. Easy set up - uses your mobile phone number. Very poor call and video quality when bad Wi-Fi or 3G connection. In spite of the similarities to other applications that offer this kind of service, I like Viber a lot since it's useful and free. 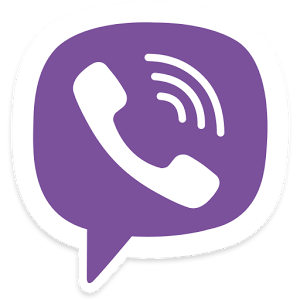 Viber is a VoIP (Voice over IP) and instant messaging application first designed for smartphones and tablets only, now available for personal computers too. It started as an iOS app, and now it’s available for Android, Windows Phone, Windows, Blackberry, Mac, Linux, Symbian, Nokia S40 and Bada devices. Viber is under constant improvement and innovation. It is developed by Viber Media, company founded in 2010 by four Israeli partners: Talmon Marco (CEO), Igor Megzinik, Sani Maroli and Ofer Smocha. Because of their constant updates and development and the differences between platforms and devices, I may specify that my review will be directed upon the latest versions that I’m currently using: Android – Viber 5.2.2 and Windows – Viber 5.0.0. Originally the app haven’t had much of other purposes (video wasn’t available for example), it was intended for free text messages and calls using VoIP. In order to register, users must own a mobile phone number but other than that the application is completely free. When installed, it automatically creates user account and using the phone number you supply, it synchronizes with your contact address book. You can connect with users all around the world, since the whole connection is through the Internet. So, once you download the app on your device and enter your phone number, Viber sends you an access code through SMS or call, which they even automatically type in on activation, and you’re good to go. The app merges your address book and when you want to place a voice/video call, or a text message only, it requires input on whether you want a regular or Viber voice/video call. The free option, over Viber, is available only to those of your contacts that are registered and use Viber too. It allows group messaging, and latest, they introduced public chats. 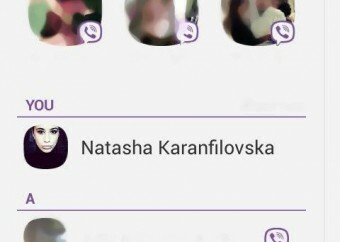 For group messaging you choose participants from your contact list, and about this new feature, the public chat, you can send a message to the world :), search and follow chats or peek into famous people chats or whatever you’re into. Stickers are one other thing that I should probably mention. It’s a feature they introduced later called the Sticker Market, since the application didn’t generate revenue at first. You can get some of the stickers for free, but others you could buy. The app has emoticons as well, which by the way are lot cooler compared to other similar apps. 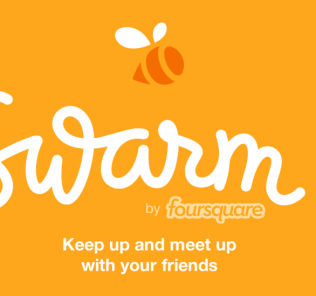 Other than calling or messaging, users can send photos or videos and share their current location as well. The limit of photos that you are able to share is 10, and maximum number of participants in one group chat is 40. You can sync or share your Viber experience through Twitter, Facebook, Mail or SMS via the buttons in Settings. Viber always runs in the background, if you allow it to of course, or there’s an exit button as an option in order to limit the availability of receiving calls or messages. You can add favorites so that it’s easier for you to find the contacts you interact the most without the annoying scrolling down. The app is able to show your status as Online if you want, and to show the status of Seen if you want that too. It is able to simultaneously sync your photos, videos and history of messaging and calling through all of your devices on which Viber is installed. There was an announcement that later Viber will offer other paying services in order to monetize. So on the scene comes Viber Out, you are now able to make cheap domestic and international calls at low rates. You can even buy Viber Out credit. Viber is very simple, user-friendly app, that’s available in various languages and has about 200 million users. 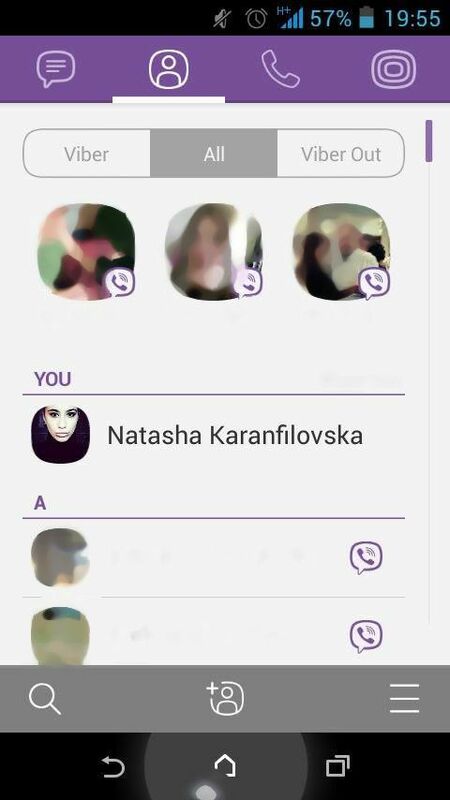 Whether you are communicating with the other part of the world or just sending a photo to your friend who is ten feet away from you, Viber is a very useful cool app which I strongly recommend.